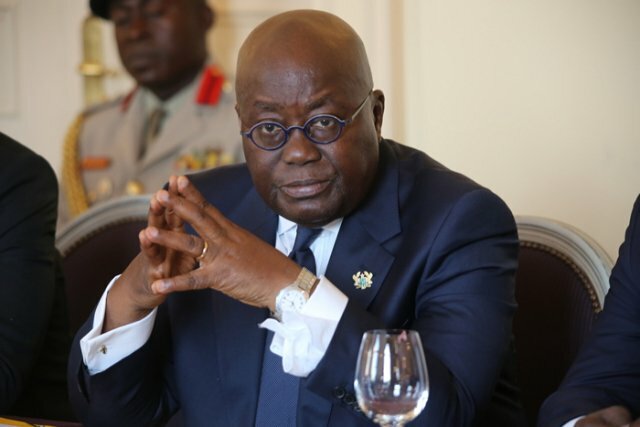 Ghana’s President, Nana Akufo-Addo, says the recent report on sales of African migrants in Libya is a mockery of the African solidarity. 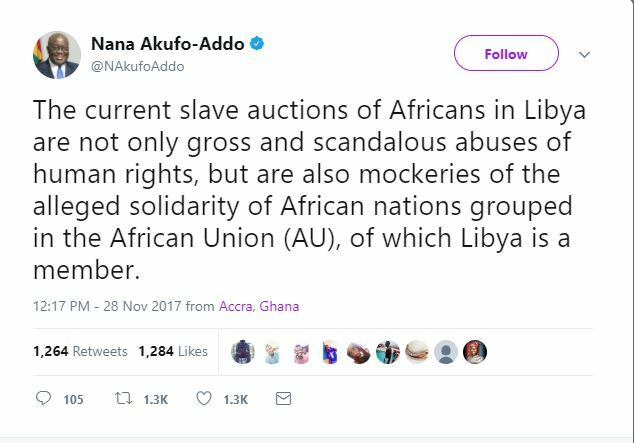 Akufo-Addo, in a tweet on his handle on Tuesday, said the slave auction is scandalous and a gross abuse of human rights. “The current slave auctions of Africans in Libya are not only gross and scandalous abuses of human rights, but are also mockeries of the alleged solidarity of African nations grouped in the African Union (AU), of which Libya is a member,” he tweeted.